Today we honor, the lost lives and the commitment of the American Slaves who had to endured- The Middle Passage and other sea routes that took the enslaved Africans away from their homeland. Many had never seen the sea before, let alone been on a ship. They had no knowledge of where they were going or what awaited them there. The slaves were packed below the decks of the ship for a usual six to eight weeks. The men, women, and children were usually shackled together in pairs using leg irons, or shackles. Some leg irons, along the way. People were packed so close that they could not get to the toilet buckets, and so lay in their own filth. Seasickness, heat and lack of air all contributed to the terrible smell. These conditions also encouraged disease, particularly fever and the ‘bloody flux’ or gastroenteritis. Many did not survive, and were tossed out to the cold sea, without regard to proper ceremony of life-much less treated like unwanted trash. Though the Union victory freed the nation’s 4 million slaves, the legacy of slavery continues to influence American history, from the tumultuous years of Reconstruction (1865-77) to the civil rights movement that emerged in the 1960s, up until the movement for Black Lives that exist today. Many understand almost 200 years-after emancipation proclamation, America still has not come to grips with its’ endorsement of the Slave trade. When Slavery in America began-the first African slaves were brought to the North American colony of Jamestown, Virginia, in 1619, to aid in the production of such lucrative crops as tobacco. Afterward Slavery was practiced throughout the American colonies in the 17th and 18th centuries, and African-American slaves helped build the economic foundations of the new nation. 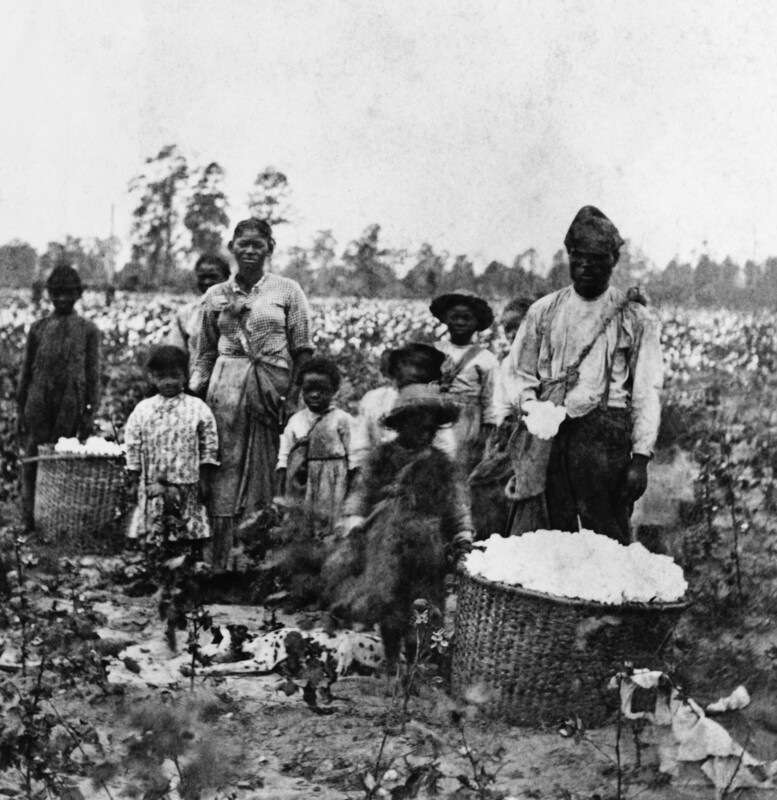 The invention of the cotton gin in 1793 solidified the central importance of slavery to the South’s economy. By the mid-19th century, America’s westward expansion, along with a growing abolition movement in the North, would provoke a great debate over slavery that would tear the nation apart in the bloody American Civil War (1861-65). While slaves in the antebellum South constituted about one-third of the southern population. Most slaves lived on large farms or small plantations; many masters owned less than 50 slaves. The majority of the workload was constituted by Slave labor. The average losses were between 10 and 20%, through sickness, suicide and even murder at the hands of the slave Masters. 10% means over 1,000,000 Africans died on board the ships, 20% represents over 2,000,000 deaths including children. The American slave trade caused 5 million deaths “or more.” … historical researchers say it’s impossible to know the overall death toll caused by slavery in America. So as a nation the (USA) has to apologize for slavery, and honor the commitment that African Slaves and their African American descendants have made to build the America’s, and the Caribbean. This entry was posted in Civil Rights, Gregg Greer, Gregg L Greer, greggrreer, Human Rights, Leadership, Leadership, One World, oneworld, oneworld01, SCLC, Uncategorized, Urban Christian Leadership, Violence and tagged africa, Christianity, slave trade, slaves. So as a nation the America has to apologize for slavery, and honor the commitment that African Slaves and their African American descendants have made to build the America’s. The quote was in reference to origins of African American life in the United States had been framed by forced migration from Africa—and the transatlantic slave trade migrations. While African Slaves were brought into early America-once here-the forced migration and further dissimilation continued while in America. Great article, but I don’t understand the quoted statement (Emancipation Proclamation = two centuries ago = 300 years?) Emancipation Proclamation = 1863, two centuries ago = 1815, almost 300 years ago can be anytime between 1715-1765… we were still a British colony), none of these time references come close to matching up. Or, two centuries or almost 300 years puts us anywhere in the timeframe between 2063-2163. Again, great article, but you should fire your editor.